It feels very strange to sit and write here. I took an unintentional hiatus from my blog - almost five months - which is the longest I've ever gone without posting. I can't quite put my finger on why I stopped exactly; I guess my heart just hasn't been in it. There's been plenty of times I've opened my laptop with the intention of blogging, but the motivation hasn't been there. I like to keep my content as organic as possible and hate to force it, therefore this little space has remained silent for almost half a year. While I have no plans to stop posting completely and I do still enjoy reading and commenting on my favourite blogs, I've been finding it more and more difficult to stay inspired. The online world has become increasingly competitive in recent years and to be honest, it completely overwhelms me. While I think it's amazing to see bloggers doing so well and being offered incredible opportunities, I feel unable to keep up. I miss the times where everyone blogged as a hobby - you wrote whatever the hell you wanted, whenever you felt like it. I miss the days before everyone became obsessed with SEO, analytics and finding a 'niche.' 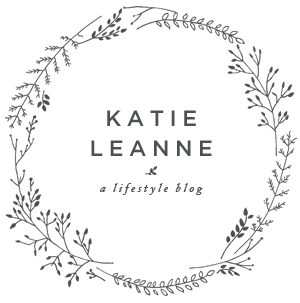 Every day I come across blogs that display a similar aesthetic to a glossy magazine, with impeccable photography and flawless writing skills - some of which are produced by girls almost ten years younger than me - and it's hard to not to feel discouraged. Even though I'm proud of how far my site has come in the last four years, I can't help but compare myself to others. I'm sure all of you that own a blog will understand that it's hard work. Just one post can take hours, even days, to construct - not to mention other aspects such as promotion and web design. I enjoy it, which means it doesn't feel like hard work. But at the same time, there have been many evenings where I've settled down to edit with a cup of tea and the next minute it's 4am and I'm left with two hours to get some sleep whilst wondering what the hell happened. Welcome back! I get what you mean about blogging these days. I've just completely withdrew from what's trendy in blogging right now, and just blog what i want. Most of the blogs I follow (like yours) aren't the shiny professional ones anyway - they're just not the ones I want to read, and making my blog like those isn't why I started in the first place.